Like its cucurbit cousins—watermelon, cucumbers, and squash—melons and Armenian cucumbers produce numerous fruitful vines. There are countless varieties of melons—hundreds if not thousands, not counting many that go unrecorded worldwide. Plant melon seeds outdoors after all danger of frost has passed. Create 12-inch diameter hills spaced 6 feet apart. Plant 6–8 seeds per hill. Seeds should be planted between ½- to one-inch deep. 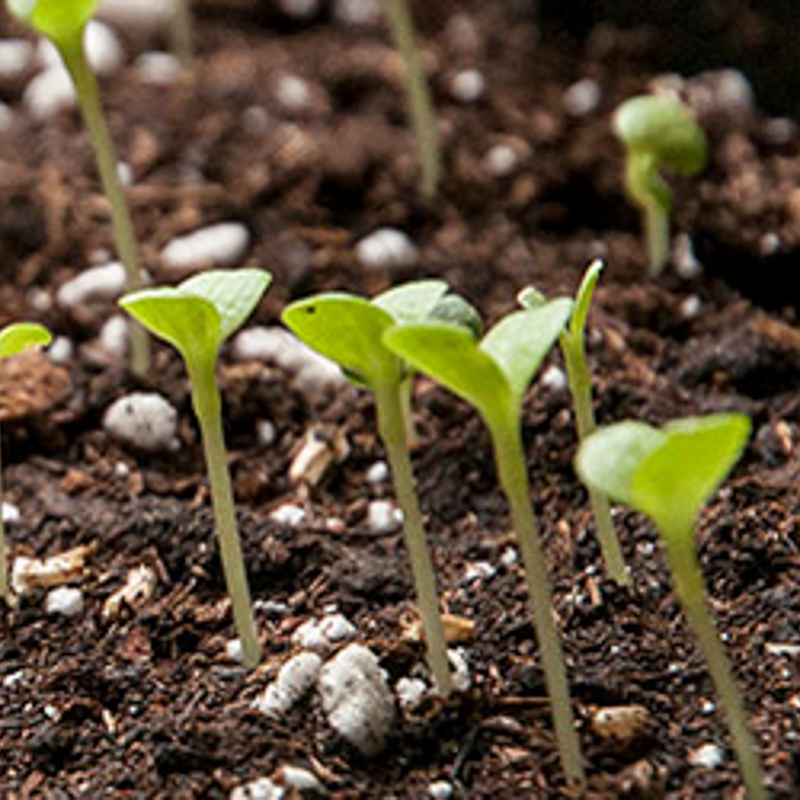 Seeds will germinate in 4–7 days. After germination, thin to 3–4 plants per hill. 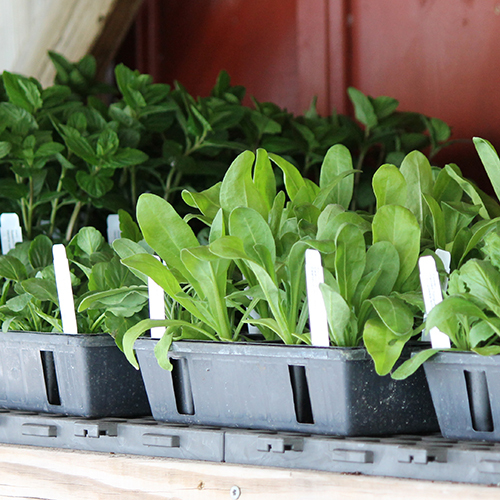 Melon seeds can also be planted in flats indoors before the season begins. Transplant outdoors as soon as the danger of frost has passed. Melons can suffer from a variety of pests and diseases, including aphids, cucumber beetles, cutworms, flea beetles, vine borers, anthracnose, cucumber wilt, and powdery mildew. Perhaps the worst of these are cucumber beetles, which spread bacterial wilt as they move from plant to plant. Floating row covers and hand removal of the beetles may help. Maturity indicators in melons vary widely by type and variety. 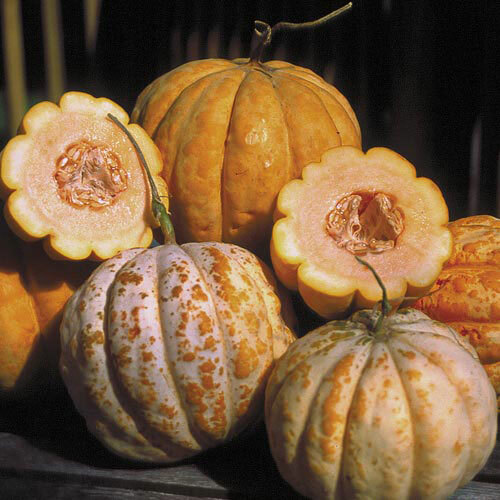 Some melons will slip from the vine when ripe; for melons that do not slip from the vine, ripeness indicators include rind color change, the development of a yellow ground spot, and increased aroma. When harvesting, make sure that the melon is cut from the vine instead of pulled. 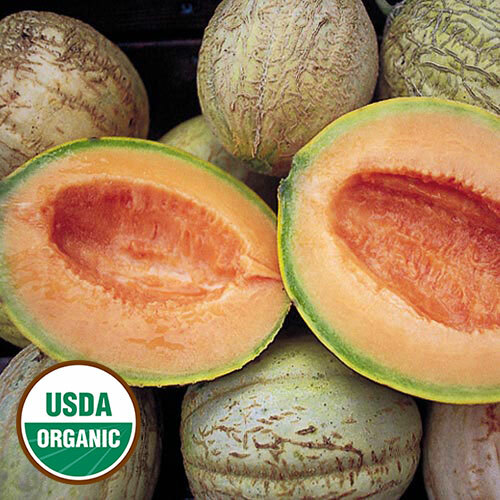 Enjoy melons straight from the field or sliced up and served after a few hours in the refrigerator. Fresh melon is often served for dessert. To extend the enjoyment of summer melons through the seasons, try melon jam, sorbet, or granite (a semi-frozen dessert). Pie melons, like Mother Mary’s Pie melon, were bred to hold up to canning and use as a pie filling. Despite their hardy appearance, melons are quite perishable. 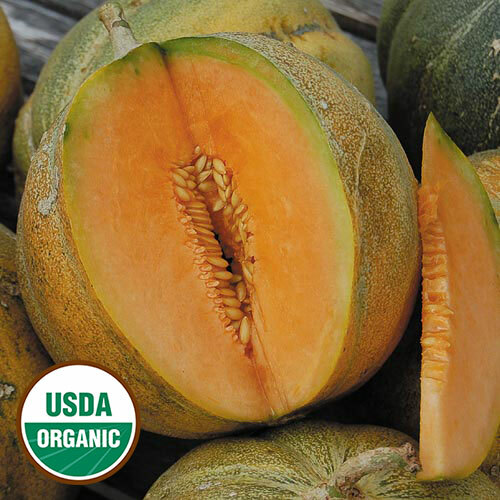 Uncut ripe melons should keep in the refrigerator for up to 5 days. If you have an abundance of fruit, freeze it after cutting it into cubes and storing it in an airtight container. The flesh will soften after it has thawed, but it will be fine for use in smoothies or fruit soups. Melon is an easy seed crop even for a novice seed saver. 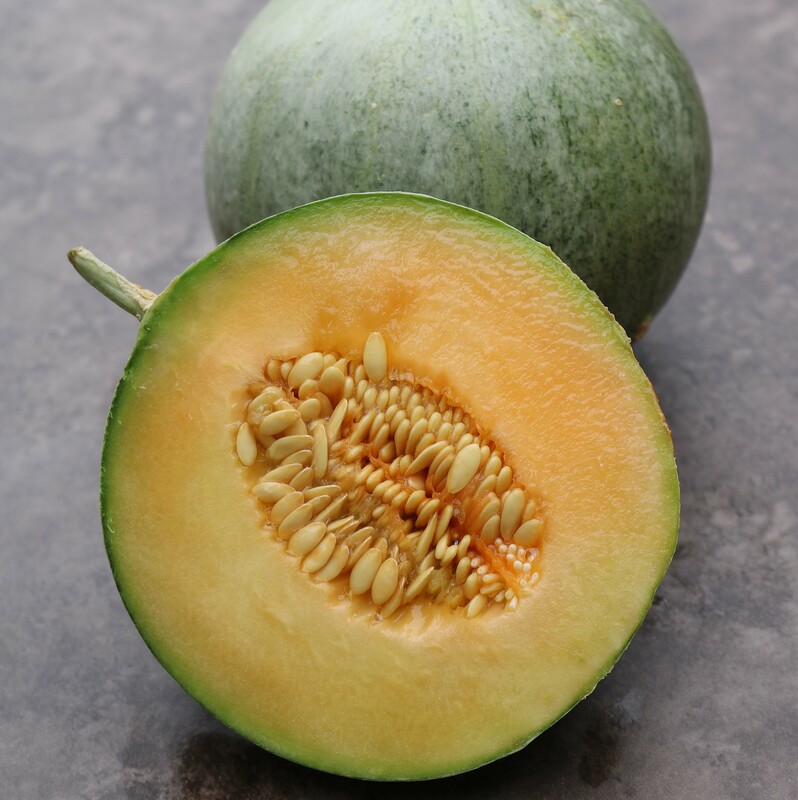 Before starting to save melon seeds, however, ensure that the melon species you want to propagate are not planted within 800 feet to a half mile of other types of melons. When saving seeds from melon, separate varieties by 800 feet to half a mile. A single plant can produce viable seed. 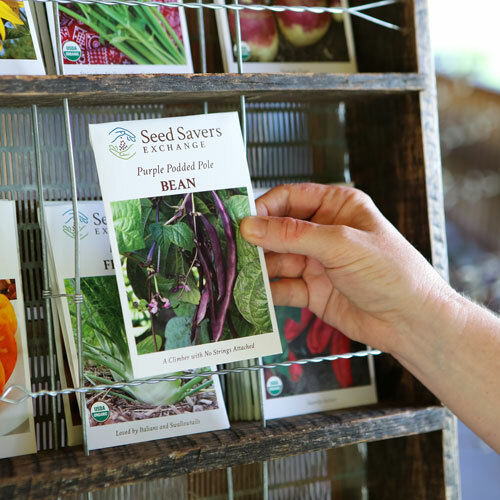 However, to maintain a variety’s diversity over time, save seeds from 5–10 plants. Harvest seeds from melons when the fruit is mature. 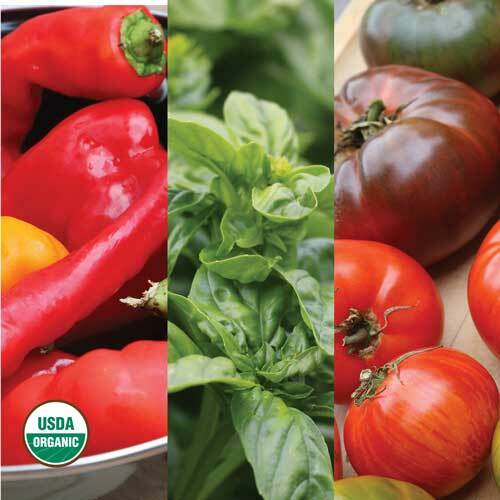 Fruits that are allowed to ripen past market maturity for approximately 20 days produce the largest quantity of viable seeds. 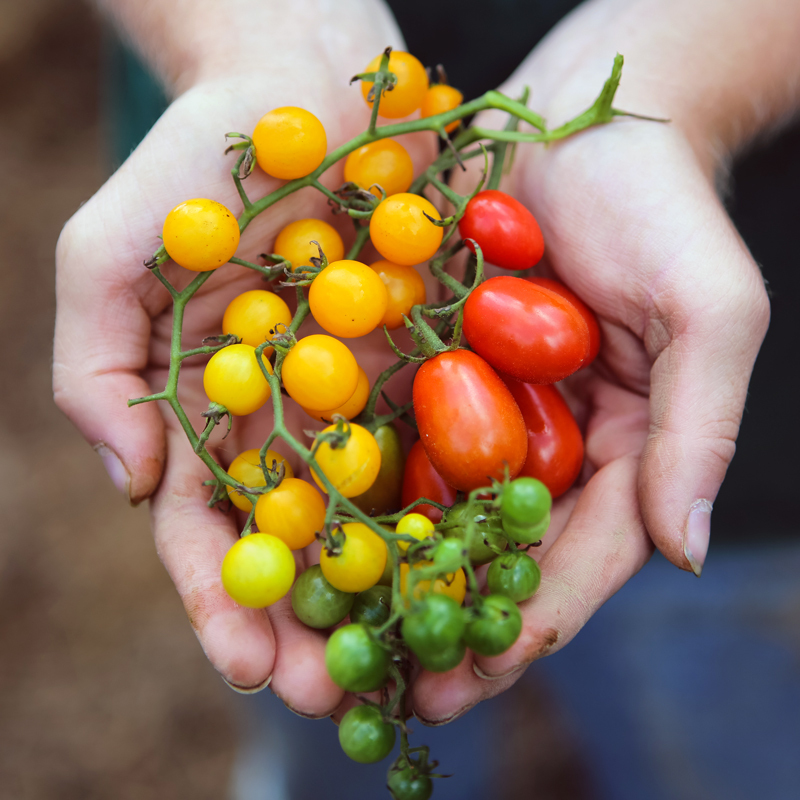 Harvest fruits as you would for eating and simply reserve some of the seeds or leave the fruits on the vine until they soften slightly. (This may improve seed quality, but you won’t want to eat the melons at this point.) The seeds inside should be plump and firm. To extract and clean the seeds, cut the fruits in half length-wise and scoop out the seeds into a colander or strainer. Rinse pulp from seeds in a strainer or colander and then spread the seeds in a thin layer to dry on coffee filters, paper towels, or old window screens. Seeds are dry enough to be stored when they can be cleanly snapped in half. Store melon seeds in a cool, dark, and dry place and always keep them in an airtight container to keep out moisture and humidity.